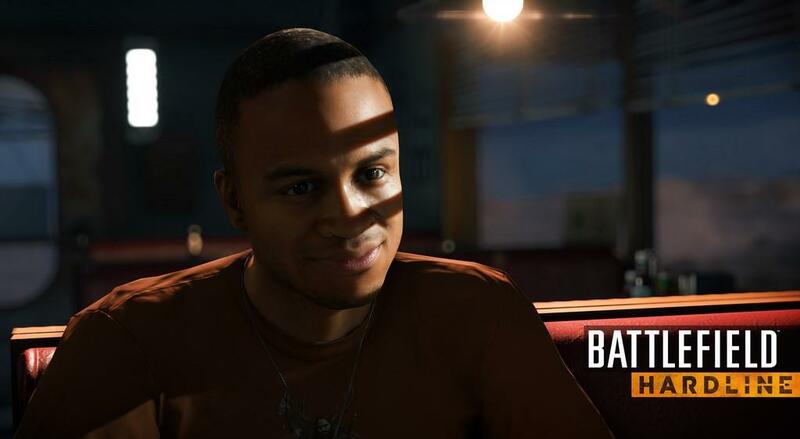 From the campaign's beginning in which the player assumes of the role of a police officer, it's clear that Battlefield Hardline isn't another ordinary installment in the Battlefield franchise. 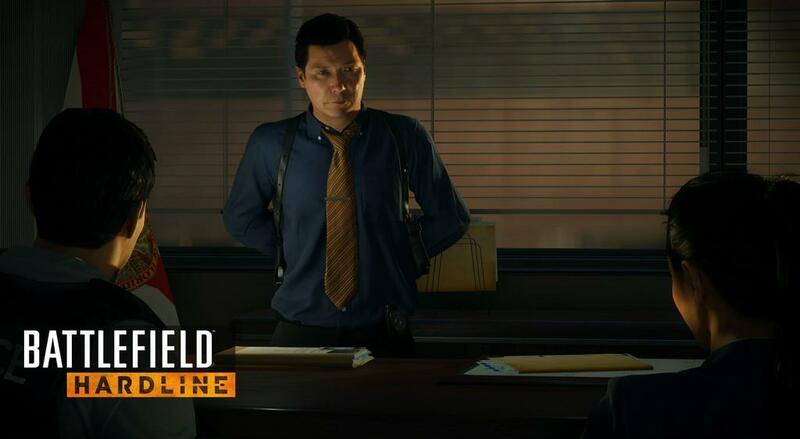 Developed by Visceral Games, creators behind the Dead Space series, and in collaboration with DICE, Battlefield Hardline forgoes modern warfare and instead focuses on fighting crime in both traditional and not so traditional methods. Most notably different from past modern Battlefield games is for the first time is the inclusion of a campaign that is actually interesting and worthwhile to play before straight away jumping into the online multiplayer component. The game's protagonist, Nick Mendoza, is the film archetype of a new detective that truly wants to fight for justice and stomp out crime. Set in current day Miami, Nick soon becomes tangled in yet another movie stereotype of corrupt cops and the discovery of a large network of drug dealers. Fortunately, the storyline throws in a few twists resulting in a much more enjoyable narrative that truly keeps players on the edge of their seats till the credits roll. The campaign is split into ten episodes that function like a television crime drama with even the inclusion of "next time on…" and "previously on…" video segments. 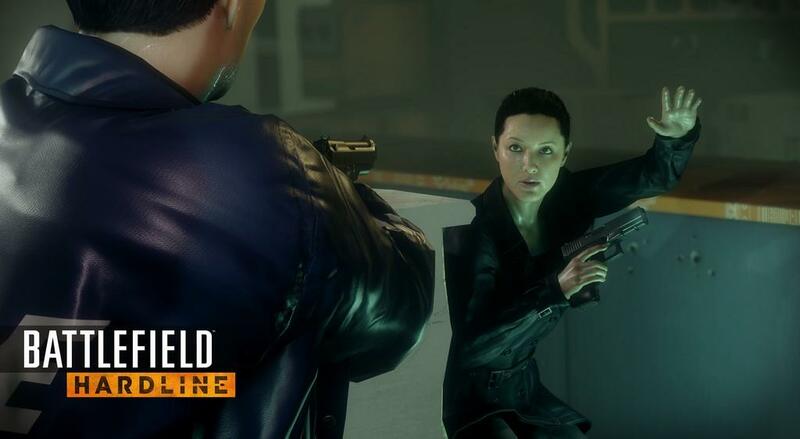 While the campaign initially begins as a typical cop drama, it soon evolves into a combination of gameplay elements from all the best heist and crime films. Even better, later campaign levels give players expanded freedom in how they want to tackle scenarios ranging from opting for the stealth route or walking in the front door with all guns blazing. Similar to the gameplay of the Crysis series, Hardline provides players with multiple routes through each scenario both in regards to the map environments and equipment loadout. Weapon chests located throughout maps let players decide if they wish to use a long range approach with a sniper rifle or close range with pistols and automatic rifles. 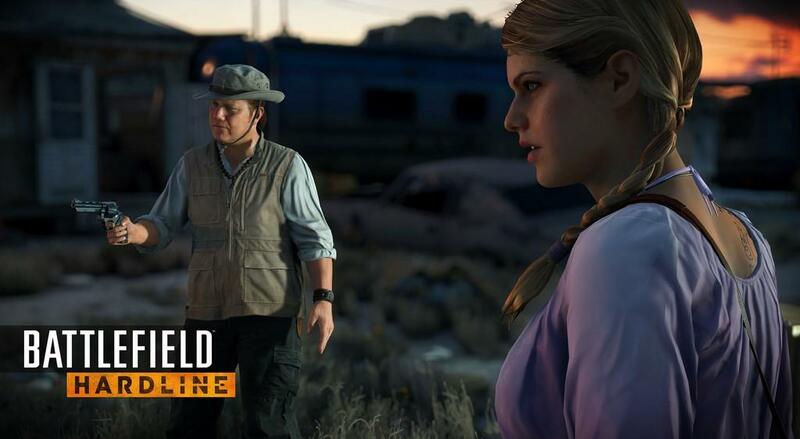 As players assume the role of a character that places justice above all else, the game rewards for taking the stealth approach through missions by arresting criminals versus straight away killing them. Different from past Battlefield games, players are given the ability to tell criminals to freeze and then proceed to arrest them. The situation is complicated when multiple enemies are told to freeze as all of them need to be watched. If one criminal isn't watched closely or ignored during arrest they all may become bold enough to pull their guns. Situations can quickly turn from what seemed like a simple arrest to an all out gun battle keeping the player always aware of their surroundings. Players earn experience levels in the campaign by performing proper work including incapacitating versus killing criminals, arresting criminals with warrants, and solving crimes. One gadget used frequently throughout the campaign is a scanner that can tag enemies, environmental hazards, alarms, and even evidence for solving crimes. 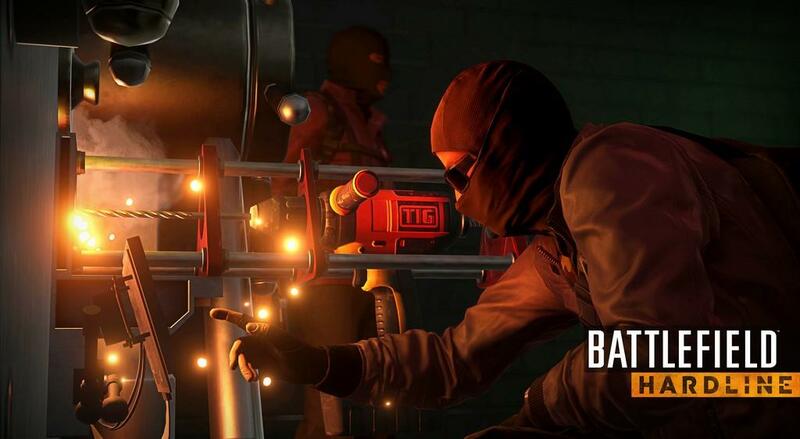 Hardline is one of the few Battlefield games in which the gameplay actually encourages players to take their time walking through maps and scan the environments for possible clues and evidence. Rewards for leveling up include additional equipment and weapons, which most of are better utilized for a second playthrough if players are focused on not killing enemies. Above all else in the game's campaign, the characters that end up tangled together in the narrative are actually likable and produced actual moments of drama and comedy. The various set pieces ranging from a car chase through a spillway to a heist taking place in a skyscraper deliver moment after moment of highly-entertaining gameplay experiences. 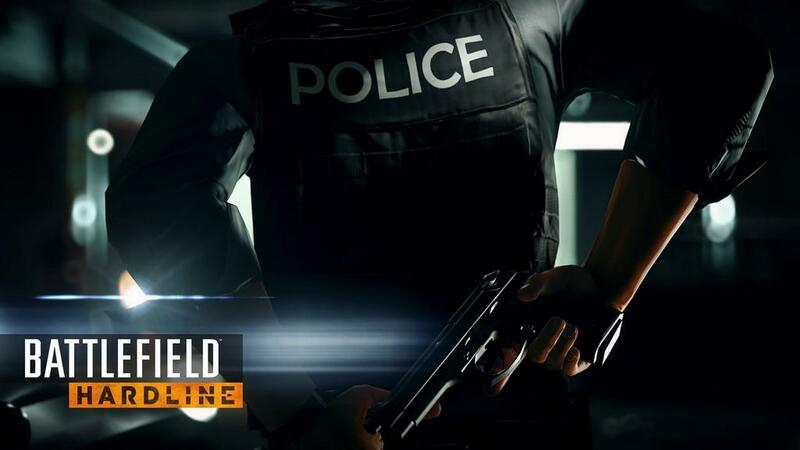 While the series is traditionally known for its online multiplayer component, Hardline's single-player component is a worthwhile adventure that shouldn't be ignored by fans. Of course the Battlefield series didn't get its popularity for the single-player campaigns, but for its online multiplayer component consisting large battles over vast maps. While one might think that Hardline focuses exclusively on smaller maps based upon its cops versus criminals setting, fortunately it includes a variety of map sizes to please all Battlefield fans. The major differences from Battlefield 4 are the inclusion of new game modes and a redesigned progression system. Both changes introduce a much welcome refresh to the multiplayer experience while also giving players more options of how they want to play online. Classic game modes return with Conquest and Team Deathmatch alongside a host of new ones with Hotwire, Heist, Rescue, Blood Money, and Crosshair. While some of new game modes don't have a huge number of active players, a few in particular have seemed to become instant favorites. In the Heist game mode, criminals work to break into a vault to steal its money while the cops work to prevent the crime. Only half of the job is finished for criminals after they grab the money as they then need to make it back to their base without being killed. The majority of the new game modes focus heavily on success from teamwork and some produce excellent gameplay results, while others produce frustration when team members just can't pull off certain objectives together. One game mode in particular that has been getting a great response is Hotwire. This game mode in particular makes the new Hardline multiplayer worth playing as it's continually thrilling from a match's beginning to end. In Hotwire, both criminals and cops race to get control of marked vehicles around the map that function as moving conquest points. However, control of a marked vehicle is only given when the car is driven above a certain speed thus requiring players to constantly keep driving around maps. Add in factors such as being able to lean out of vehicle windows and constant car chases throughout matches make for one the best new Battlefield game modes. Even better, team members are able to spawn into controlled vehicles that have spare seats resulting in instant teamwork and coordination of both defending and repairing the various sedans, vans, and motorcycles. The other major change to multiplayer is a redesigned progression system that replaces level-based locks with weapons and equipment that can be purchased with in-game money. The in-game money functions similar to an experience system outside of normal leveling in that players earn cash for traditional Battlefield actions such as killing enemies, healing teammates, repairing vehicles, completing objectives, and so forth. This system allows for players to unlock the weapons they want first before others that don't interest them. While it would have been preferable if weapons would be unlocked at the same time for both criminals and cops, unfortunately players need to purchase separate weapons for each team side. The only real issue with the game's multiplayer is at times it still feels as a slight modification of Battlefield 4 that makes the full $60 price a difficult purchase to outright recommend. However, those fans of Battlefield gameplay looking for a new take on the series wont be disappointed with the innovative single-player campaign and improved online multiplayer experience. 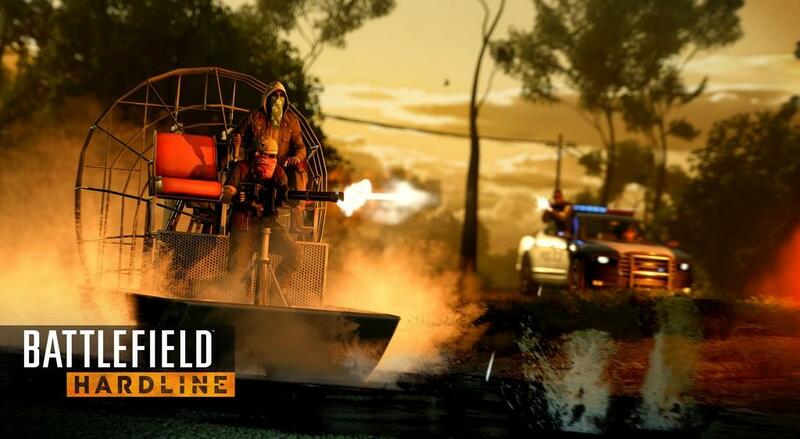 Battlefield Hardline is a worthwhile entry in the series that fans shouldn't pass up if in the market for entertaining gameplay that breaks from online shooter norms. 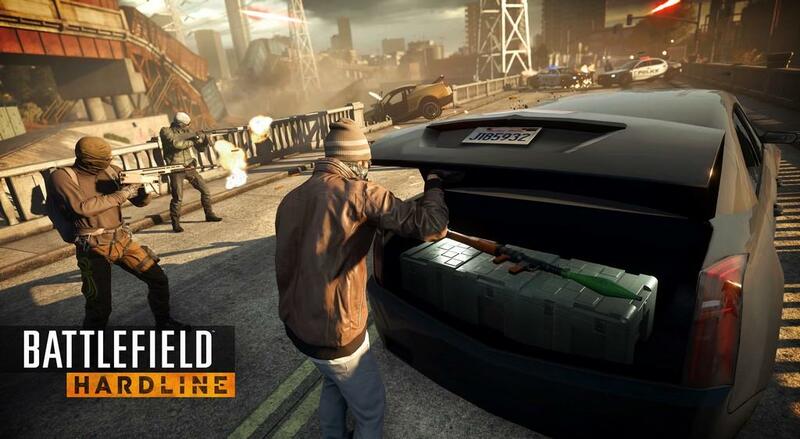 Battlefield Hardline takes a fresh look at the traditional warfare gameplay with a focus on combat between criminals and cops. The single-player campaign makes for a compelling and innovative approach to the traditional Battlefield gameplay with an increased focus on multiple victory paths and stealth. A variety of new game modes and redesigned progression system make for some of the best online multiplayer gameplay found in a Battlefield series game. 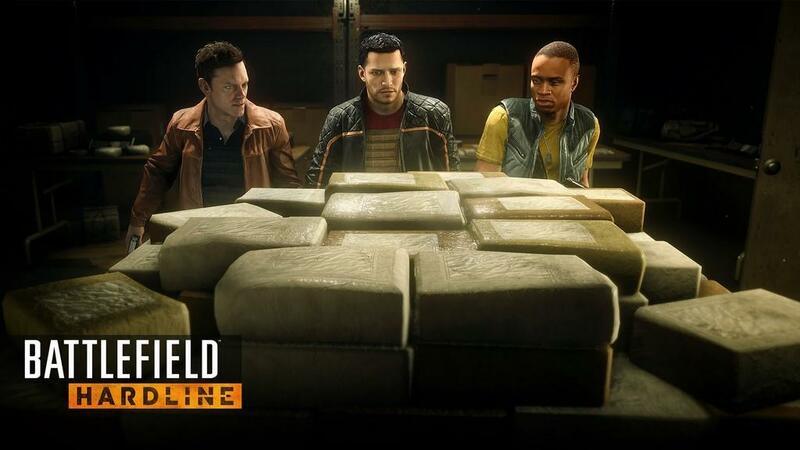 Battlefield Hardline is a worthwhile entry in the series that shouldn't be passed over by fans.